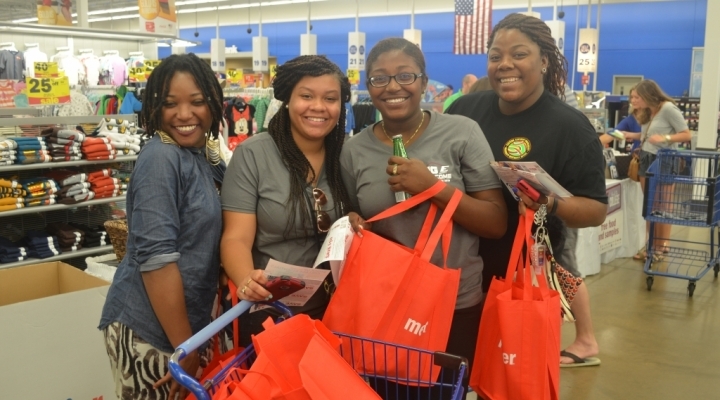 The Office of Student Life and First-Year Experience serves create powerful programs that help meet the unique needs first-year students have. 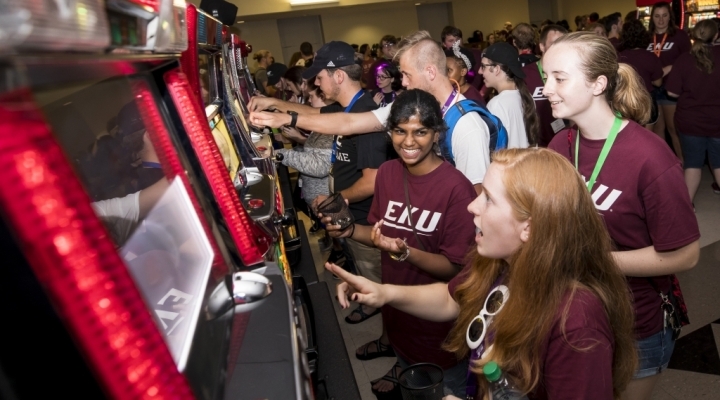 Our programs will help you connect to EKU inside and outside the classroom, and empower you with experiences and resources to make your first year a powerful, engaging experience. Welcome back Colonels! Stop by our tabling event for treats and to get the 411 on January 2019 events! Explore 250+ student organizations including Greek life, as well as multicultural, service-based, academic/honorary, and special interest organizations at Winter Colonel Craze! Learn more about student involvement, receive great giveaways, and more! Feeling appreciated and showing others appreciation are critical factors when it comes to being a leader. Join Student Life & First-Year Experience for a fun and interactive session on learning your "Love Language" and how you can use it to better impact the teams and groups you are a part of. FREE snacks will be provided! EKU parents, family, and friends are invited to participate in the first-ever EKU Family Night at the February 16th Men's Basketball Game versus Murray State at 7pm! This opportunity gives you a chance to be a part of the Colonel family and make memories with your Colonel during the Spring 2019 semester. Doors open at 5:30pm, of which we encourage you to come early to stop by our EKU Family Day activities! Embrace your Colonel spirit by taking a photo in our photo booth, buying an EKU Family tee, or get a temporary EKU tattoo. Participants will be able to enter to win the EKU Family Night basket and be recognized during the game! Join the EKU Student Success Center & EKU staff for free donuts and coffee while we help you register for Fall 2019 classes! There will be free t-shirts to the first 75 participants! Prizes will also be given out throughout the event. Apply to Be a Colonel Crew Leader! 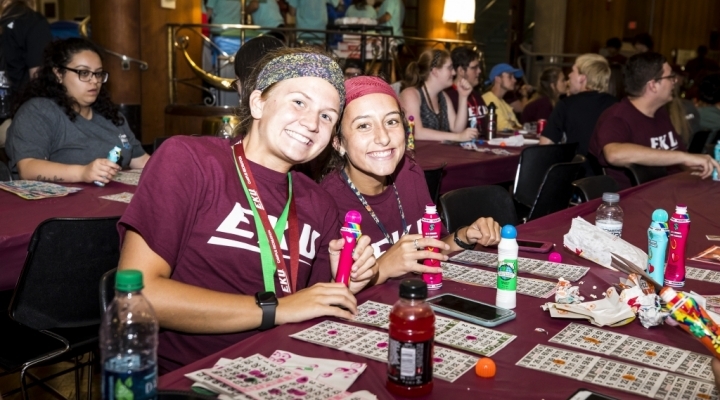 Colonel Crew Leaders are responsible for helping all new first-year Colonels positively connect, transition, and build excitement for their Eastern college experience within their first days on campus at the Big E Welcome, August 16th-18th, 2019. This role is an awesome leadership opportunity to make a huge impact on first-year students and to be a part of dynamic campus programs and traditions. For further information and to apply, please visit https://orgsync.com/14280/forms/356240. The Colonel Crew Application will be open through April 15th, 2019.